Let’s get right into it…shall we? 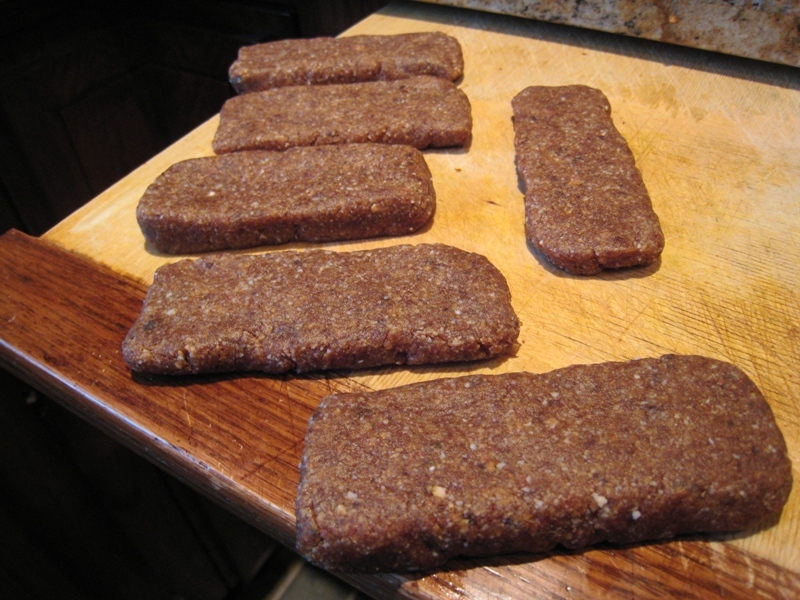 For my first Glo Bakery product, I wanted to make my homemade Banana Bread Larabars! These are absolutely delicious and only 3 ingredients. After making this batch, I am now convinced that I like the homemade version better than the actual Larabar!! They are that good! 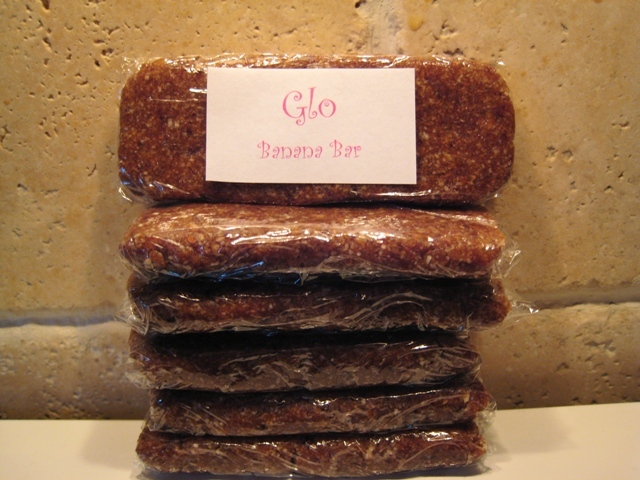 I wanted to make 6 Glo Banana Bars to last me the week so I tripled my ingredients from the original recipe found here. 1. Slice 1 small banana. Lay banana on greased baking sheet. Bake 2-3 hours at 175F. flipping once after 60-90 mins. of cook time. 2. 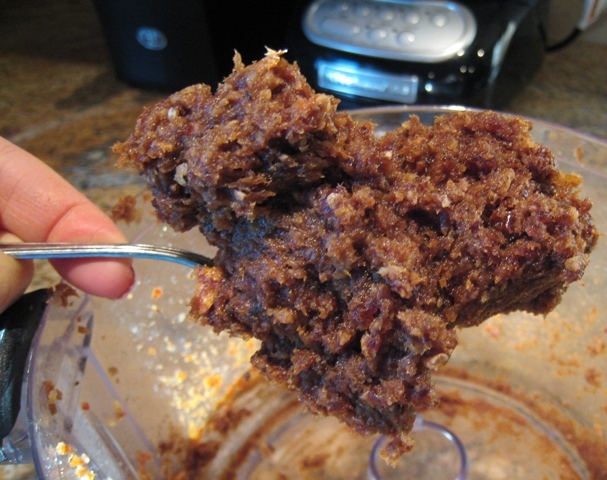 Roughly chop 3/4 cup of dates. 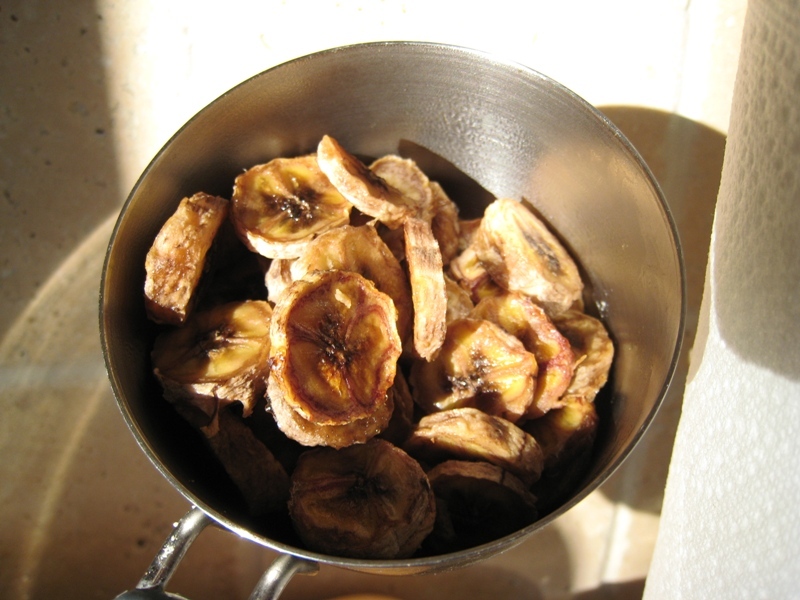 Add dates and dried banana into food processor. Process for 1-2 mins. 3. Remove from processor bowl, set aside in a small bowl. 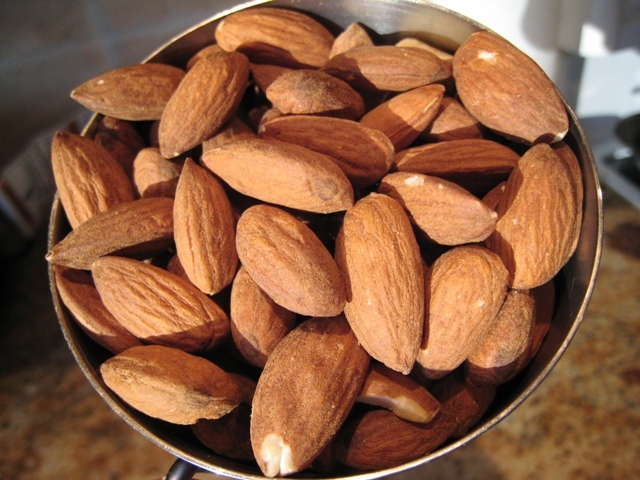 Add 1 cup raw almonds to food processor and process for 1 min. 4. 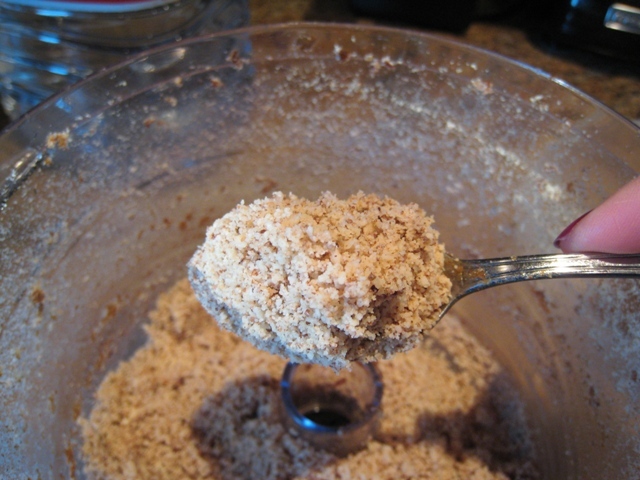 Add almond mixture to date/banana paste and blend well with hands. Divide into 2 halves. 5. Seperate each half into 3 equal halves forming 6 pieces. Shape into bars. 6. 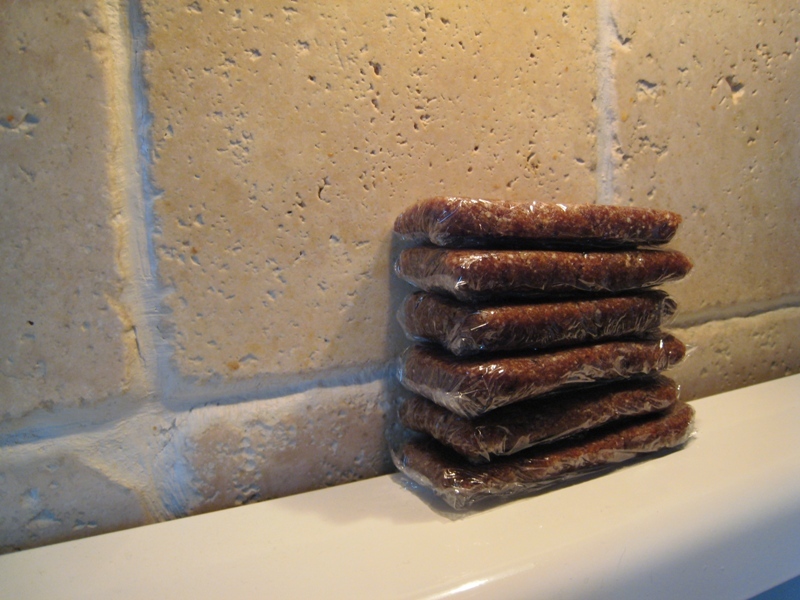 Wrap bars in plastic wrap and refrigerate. 7. 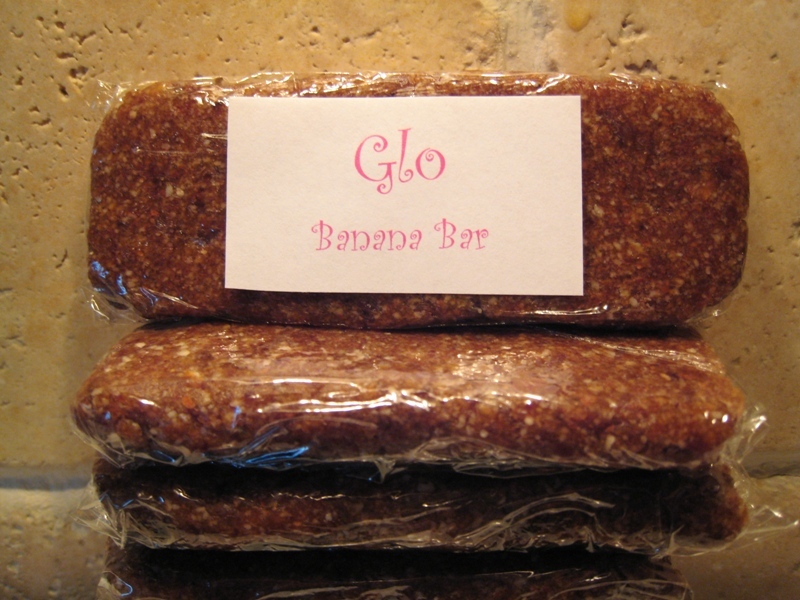 Unwrap bar, eat, and enjoy your healthy glo! Larabar uses “a multi-layer package that keeps out UV light and oxygen, which, in turn, maintains freshness without the use of preservatives.” Larabar claims that their shelf life is 12 months. Ok, I need to go start looking over all the Valentine’s Day entries!! I think we got around 20-25 entries :) They are all FABULOUS!! I can’t decide what I want to make for Valentine’s Day! I want my identity back. I don’t want to be known as the CEO of AOL Time Warner . . . I’m my own person. I have strong moral convictions. I’m not just a suit. I want poetry back in my life. wow your recipe is really easy, I am surely making this!! Those look delish! I need to invest in a food processor so I can make some! Yet another reason to get a food processor! Those look great! Those look yummy! I want to make em! 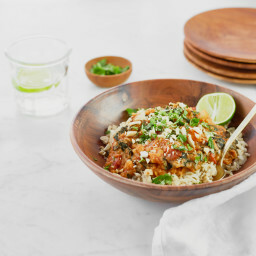 Just a thought- why would people buy these from you when you provided the recipe above, and it seems easy enough :) You gotta keep that secret that if you wanna make money! 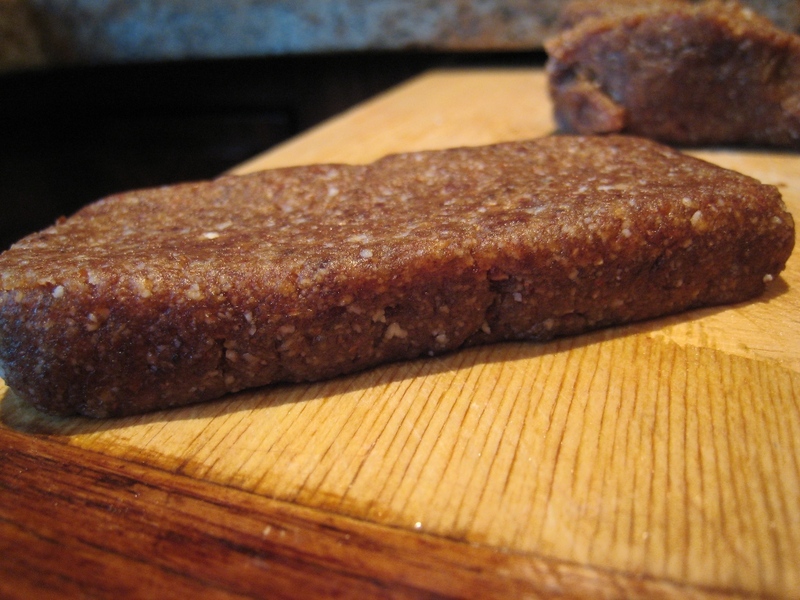 Wow those bars look so good, and I bet they are as good, if not better than Larabars! Those look so yummy!! Great idea!!! 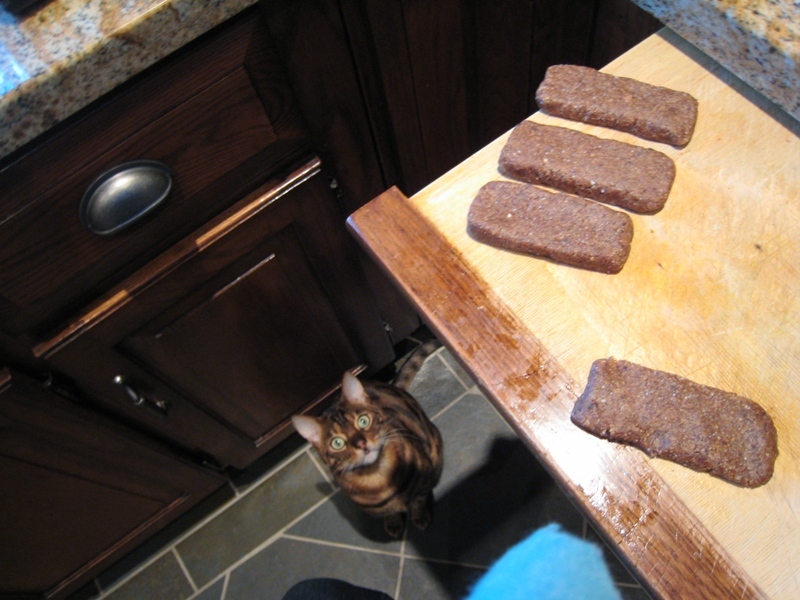 Good job on making your own Larabars :) They look pretty darn tasty. I agree w/ Molly about the recipe. ;) But thank you for sharing, just the same! 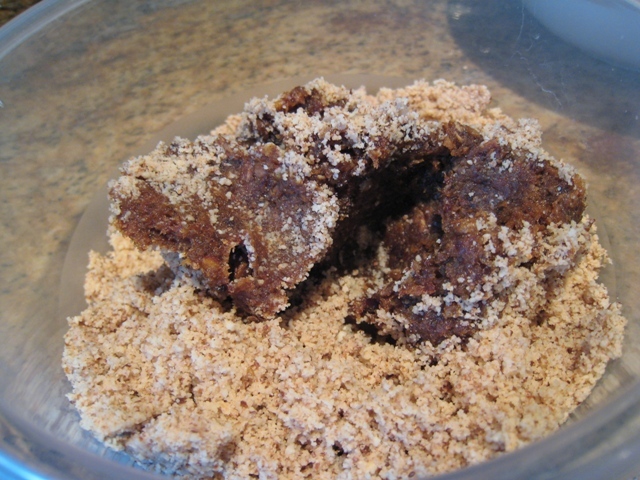 I’d likely purchase that brownie cake you made (and raved about). I’D TOTALLY GO FOR THOSE!! oo I have to try that recipe! Have you also ever thought of putting together these recipes into a cookbook? You could sell your cookbook at your Glo Bakery site. 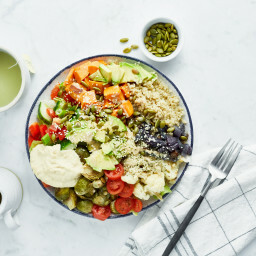 those look so good, healthy, and fresh! I would definitely buy them if I could get them in person but I don’t think I would order them because even though Larabars are expensive, once you add in the cost of shipping these would probably be more expensive. That looks awesome. I’m going to do that recipe. Love it. The bars look great! I would love to buy some! The kitty is sooo cute!! On my… these look delish! 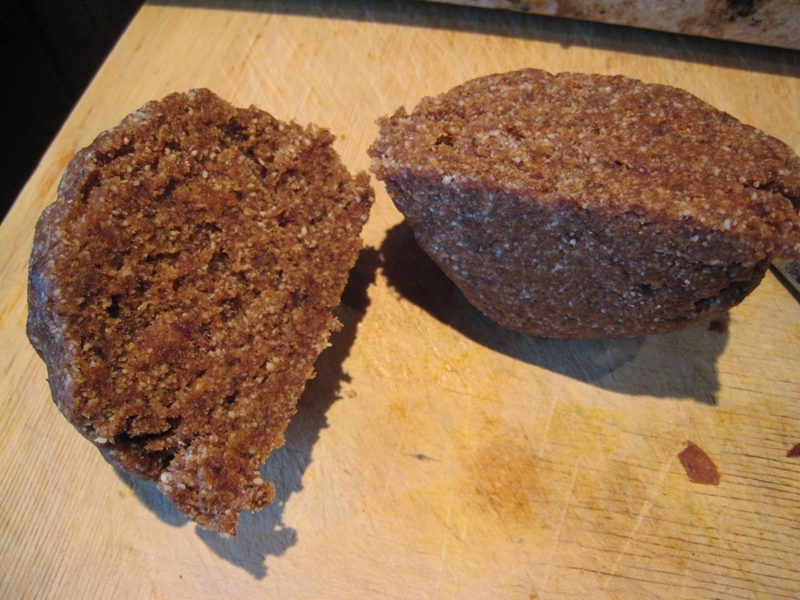 Thanks for sharing the recipe :) Has anyone tried baking the banana slices on a parchment lined baking sheet? So I tried making some larabar replicas of my own tonight. 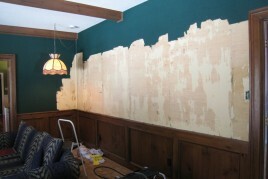 It was a bust :( I think it has to do with my dates . . . they bounced around and kind of ended up somewhat chopped up but nowhere near pasty. Me thinks I’ll have to try them with softer/fresher dates. I hope I can find some here! As an update I used fresher dates and my homemade larabars totally worked! What is the calories, fiber and fat on these? They look great! I bought a food processor specifically to make homemade Larabars and hummus. So far I have only made the Cherry Pie version but can’t wait to try this banana bread recipe. Thanks for posting these recipes. 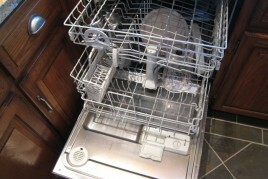 It’s a big help to those trying to be healthy while saving money! I think you’re onto something with the vacuum seal, but try it the other way around. Wrap in foil first- use the thinnest you can find, and then vacuum seal the whole thing. You would be creating your own version of a “foil laminate” type of packaging. Next post: Healthy Valentine’s Day Recipe Contest Slideshow!